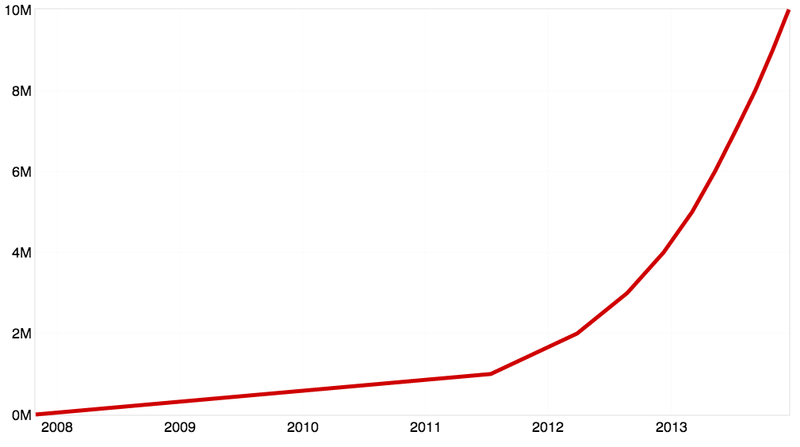 The first million repositories were created in just under 4 years; 3 years, 8 months and 15 days to be exact. This last million took just 48 days. In fact, over 5.5M repositories — more than half of the repositories on the site — were created this year alone.